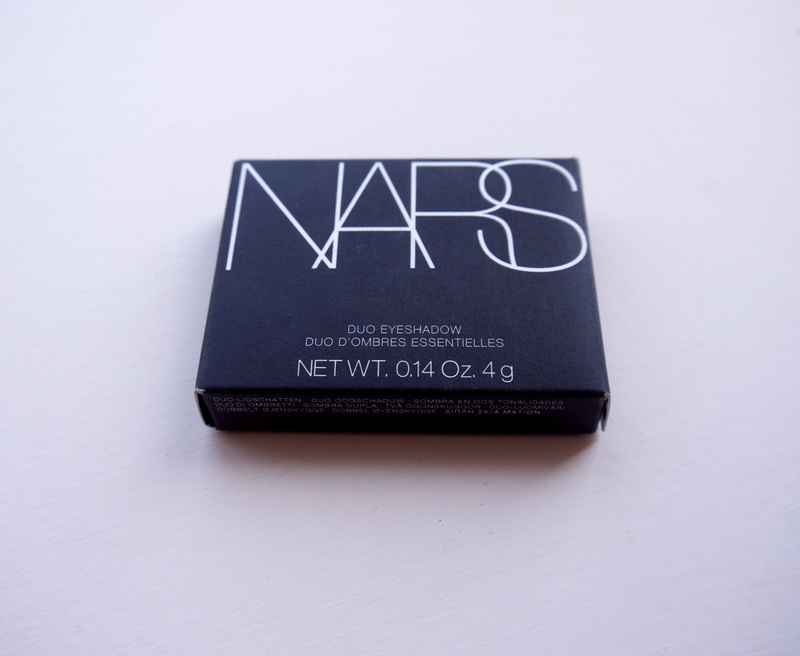 A few weeks ago I realised it has been far too long for me to have gone without ever getting a product from NARS. I've been dying to try something of theirs for ages but never got round to making a purchase. Having loved their packaging and the concept of duo eyeshadows, I decided they were my first pick of their products. Some of the NARS make up range can be found on ASOS, which is often my retailer of choice (got to make the most of my premier account and student discount! ), so I bought a duo called Bellissima. This is a lovely duo for everyday wear. The lighter shade is a slightly shimmery/icy cream tone while the shade on the right is a matte grey/brown. The colours are lovely, as is the packaging. The colour pay-off is great, like you would expect from a brand like NARS. The packaging is perfect for a make up bag, very slim and compact without compromising on the size of the product. I have my eye on their lip pencils now, so watch this space, a review on one of those may be coming soon if I give in (I normally do!). these are both gorgeous shades! Yeah, they are so wearable!